Is there anything more satisfying than this? 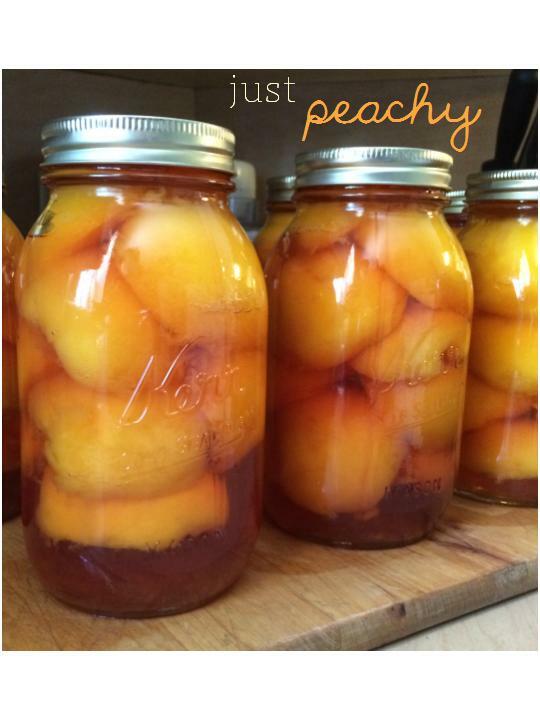 Home canning is something that makes me feel connected to the wonderful women in my family tree. My mom taught us to 'put up' fruit as children and it is still something we enjoy doing together. Last year, for one reason or another, we did not get to it and boy, did we miss those canned delectables through the winter. So, this year, we headed out to the farmer's market in September and snatched our box of pears - just a half bushel now since she lives alone any I'm almost an empty nester. The peaches are another story. We are always tempted by the Albertas, Lemon Albertas, and other varieties but its the O Henrys we want. It took three trips to the market but they were worth the wait! They did not disappoint. My mom said it best after eating one, "Now, that's a peach!" Canning them this morning was a real pleasure... no really! As my grandmother always said, "you have to wait 'til the first snow to open the fruit", but come this winter, they will be a little taste of fall. Just beautiful Janet. We always "canned" fruit with my mom and Grandmother. I enjoy it so much more as an adult!